Erdene Resource Development Corp. (“Erdene” or “Company”) , is pleased to announce it has received additional assays from the reconnaissance drill program that began October 7 at the Company’s 100% owned Altan Nar (Golden Sun) gold-polymetallic project in southwest Mongolia. 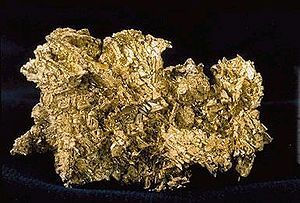 The Altan Nar prospect includes multiple epithermal gold discoveries over a five kilometre strike length. The initial target was drilled in October 2011 and resulted in the on-going definition drilling of the Discovery Zone (“DZ”) and testing of regional targets. The recently completed drill program consisted of 17 holes that totalled 2,465 metres, including 11 wide-spaced reconnaissance holes and six holes to test the lateral and down dip extension of the DZ. Complete assay results have been returned for 11 of the 17 holes (TND-42 to 52). Remaining assay results for TND-53 to TND-58 are expected to be received during the fourth quarter of 2012. Two 50-metre step-out holes were completed at the northeast and southwest ends of the DZ. Hole TND-50, located 50 metres to the northeast of the DZ, intersected a broad zone of gold-polymetallic mineralization over a 94 metre interval. This zone averaged 0.45 g/t gold and was bounded by higher grade gold zones, including a five metre interval averaging 2.7 g/t gold (111 to 116 metres) and a 4.5 metre interval at the bottom of the hole (200 to 204.5 metres) that averaged 2.4 g/t gold, 18.8 g/t silver, 2.8% lead and 0.86% zinc. Previous drilling at the northeastern end (TND-40) of the DZ intersected a broad mineralized zone that included 27 metres of 1.8 g/t gold, 11 g/t silver, 0.47% lead and 0.62% zinc and higher grade zones including four metres of 4.5 g/t gold, 56 g/t silver, 2.5% lead and 1.2% zinc. Previous results from the southwestern end of the DZ included 29 metres averaging 4.3 g/t gold and 24.1 g/t silver from hole TND-19 which was drilled 50 metres below the mineralization intersected in TND-09 that averaged 1.02 g/t gold and 12 g/t silver over 55 metres. The southwestern end of the DZ appears to be structurally displaced or pinched out, as confirmed by the results from TND-43 in the table below. The DZ remains open at depth and to the northeast. A map portraying the drill results projected to surface and the location of drill holes can be viewed on the Erdene website at www.erdene.com.